Expressing yourself on the internet is a great equalizer. While it helps to know a little about SEO and the technical side of things, it’s not a necessity. There are plenty of people with average computer skills who have phenomenally popular followings. Most people blog and share videos because they’ve got something to say. And admit it, a big part of why you do it is the possibility of becoming famous. The downside of being so easily accessible is intense competition. It’s not as easy as it once was to stand out among the crowd. Sometimes you have to hedge your bets and do a bit of extra work in order to reach a wider audience. 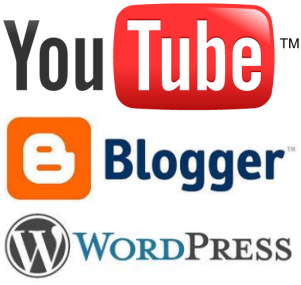 Many people concentrate on either blogging work or posting YouTube videos. But why not find a way to combine both? You could effectively double your power and expand your audience exponentially. An amalgamation of blogging and video presentation of that particular article would be great. Videos are great medium because they allow you to connect to others quickly. There’s no preamble or introduction necessary. It’s just you showcasing your talent to the rest of the world. All of the work goes into producing the video itself and these days, that’s not hard at all. Modern technology makes it easier than ever to create quality videos that you’re proud to share with everyone. Despite a decline in book sales and newspapers, the written word remains the most powerful medium in the world. There are things you can do with writing that you can’t do with any other form of media. It’s a more intimate way to introduce you to an audience and to build a following. Of course it takes skill in order to craft your message clearly. Not everyone have the talent to do it, but it does get easier with time. The premise is simple: in order to reach a wider audience, it’s time to think about having both a blog and a YouTube channel. The key is to connect them so that one leads to the other. Anyone who stumbles upon your blog can easily find your videos, and vice versa. Gaining popularity is a numbers game and this is the perfect way to cast a larger net. More importantly, it gives you more opportunity to get your audience familiar with you. They can learn a lot more about you when they have access to your writing and videos, and hopefully there’s something they can relate to. These days, having a simple blog or YouTube video is just the beginning. It’s vital to use other forms of social networking like Facebook, Twitter, and Google +. There are also vibrant communities and chat rooms that cover all kinds of topics. It’s a good idea to be an active voice that contributes your unique perspective. While your numbers might not be large at first, all it takes is one dedicated follower to share your work. If you have quality content and true talent to showcase, then the sky’s the limit. It all starts with your core content, so don’t be afraid to edit, refine, and learn from your mistakes. Once you have something to offer to the world, then it’s ready to hit the net through various social networking platforms. Not everyone is going to hit it big, and it’s important to be realistic about your chances. Combining a blog with a YouTube channel can increase your odds, but it’s not a magic solution. Just because you’re a karaoke champion in your small town doesn’t mean you’ll become the next Justin Bieber. It’s also essential to preserve your own privacy and safety, so watch out for accidentally compromising these factors in an effort to reach more people. You don’t want to share too much or reveal facts about yourself that could come back to haunt you. Most things that end up on the Internet are there forever so be strategic about what you choose to share. Jeff Yunger is the owner and operator of www.karaokemachineguide.com, a site that celebrates all facets of entertainment in addition to a direct focus on the best karaoke equipment around. The site is starting up a new section where people can share and showcase their talents, and it’s the perfect place to visit if you want to reach a bigger audience for yourself. Are You Championing Your Own Useless Website Content?